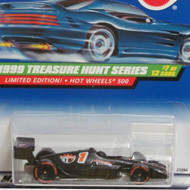 6/12 from the 1999 Treasure Hunt series. 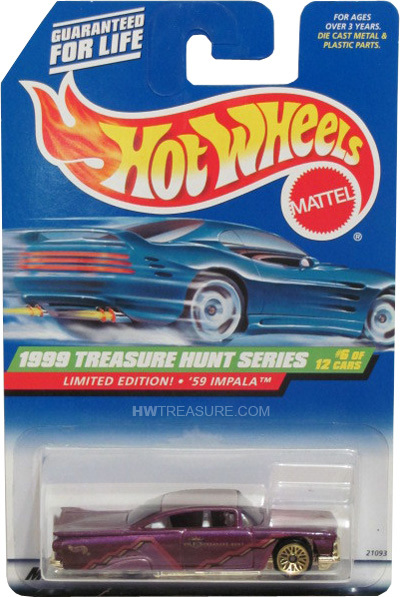 The Impala has purple metalflake paint enhanced with black, red, gold, and light purple graphics, “99 TREASURE HUNT” on the doors, and a small gold Hot Wheels logo on the sides. 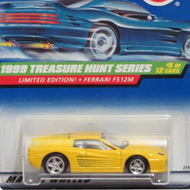 It has purple tinted windows, white interior, gold lace wheels, and a gold chrome Malaysia base.